Don’t wait for the perfect mirror that would reflect your abilities, go ahead and find them within. This girl believed in herself and approached her professor, irrespective of what the result will be. And now trust me, she don’t regret approaching him. I started my internship on Hydrogen Storage which is a very dry topic but for me it is the demand of time. As it is the need of the hour to shift our energy resources from non-renewable to renewable resources and hydrogen is the one that can meet the requirement for this. I have just joined this internship but the feeling of doing work with great fraternity of sciences is itself a boost in my career to do more research and become a part of this fraternity. Initially, I found it tough as I had to first understand that how research work goes, what all I needed to learn to get known to the methods of doing my part of research. But as of now, I am well adjusted to it and enjoying working a lot. I have hardly thought of applying through mails and application processes because there’s lots of competition even for small internships and most of the time emails go unattended. So, after a lot of thought process, I went to the faculty with whom I wanted to work and luckily he got interested in me for my keenness to work under his supervision. I would like to tell everybody who is going to read my story that sometimes we’re thinking that we are lacking a lot to even apply for an internship but for that point of time keep your spirit up by controlling such thoughts as we never know who’s there in this world to judge our true knowledge. So always believe in yourself. 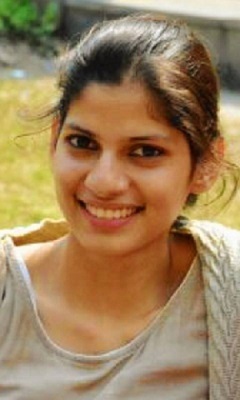 If Tanazza’s experience motivates you, you can check the latest internships in Delhi and Science internships.